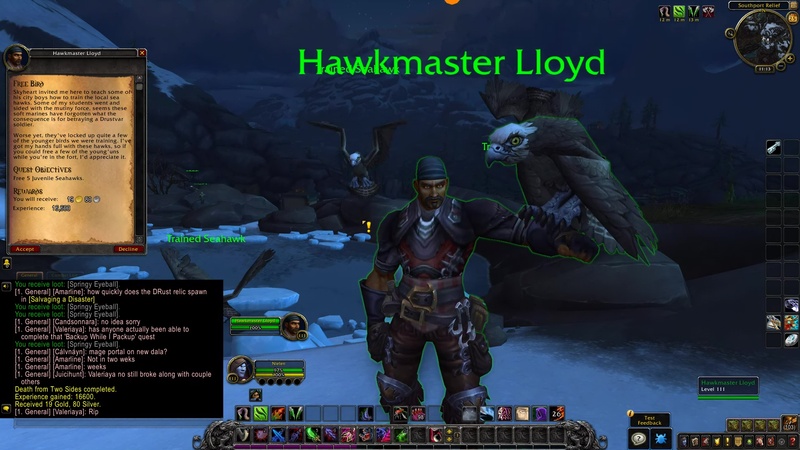 Hawkmaster Lloyd: Skyheart invited me here to teach some of his city boys how to train the local sea hawks. 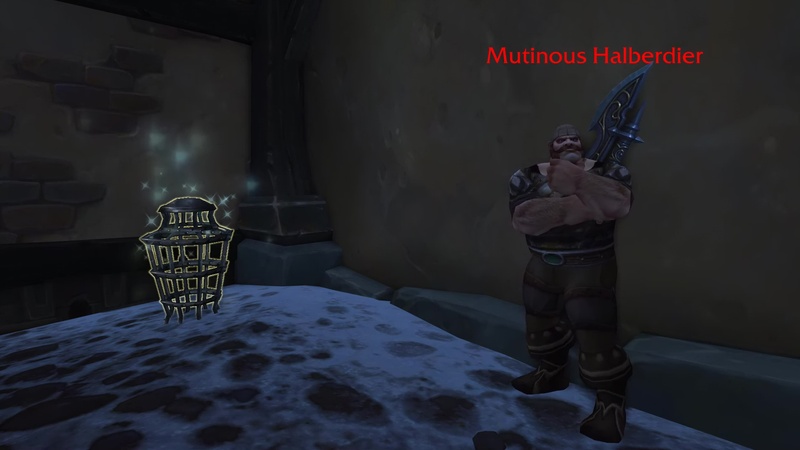 Some of my students went and sided with the mutiny force, seems these soft marines have forgotten what the consequence is for betraying a Drustvar soldier. Worse yet, they’ve locked up quite a few of the younger birds we were training. I’ve got my hands full with these hawks, so if you could free a few of the young’uns while you’re in the fort, I’d appreciate it. Hawkmaster Lloyd: Leonard will provide you some back up. Just give him a whistle and he’ll do what he does best. Hawkmaster Lloyd: My birds deserve better partners than men who betray their own country.